All Zadar photos featured in this post are brought to you by Ivan Coric, a freelance photographer and Zadar native. In my opinion, no other photographer captures and showcases Zadar, its landscapes and architecture, better than Ivan does. Since I really enjoy and admire his work, I wanted to feature his Zadar photos on my blog. I've contacted him last week, and I am truly honored that Ivan accepted my proposal. I hope you'll enjoy this beautiful Zadar photo journey. I've been in Zadar couple of times already. Zadar, the second largest town in Dalmatia, has a pretty old town. The old town is located on a small peninsula, and surrounded by the fortification walls. It boasts a mixture of Roman ruins, Venetian-style buildings, medieval churches, and surprising number of newer 20th century buildings. I've been told that Zadar was actually so badly bombed during the WWII that over 60% of the city's buildings were destroyed. This is the reason that today, Zadar isn't a picture perfect town like Dubrovnik, or living museum like Split. But Zadar has a nice balance of history and culture, urban cafes, lovely seafront combined with two unique attractions: the sound and light installation of the Sea Organs, and the Greetings to the Sun. Zadar's popularity is growing, but it's still not overrun by tourists. At the south-east side of the old town, you'll find the Land Gate, built in 16th century, it served as the main town entrance at the time. Next to the gate is my personal favorite site in Zadar, a small picturesque port of Fosa. The beach Kolovare, just ten minutes walk from the old town, features a pretty fountain built in 16th century. The fountain was used to supply local people and Venetian ships with fresh water. The Puntamika peninsula is located north of Zadar's old town. This is the most popular swimming area in Zadar for tourists and locals. Falkensteiner Resort Borik is located in this area. However, Puntamika used to be an important defensive spot for the town back in history. You'll find here an interesting lighthouse built in 19th century. I hope that you enjoyed Ivan Coric's Photos of Zadar. Check his other work at Flickr and DeviantArt, or connect with him on Google Plus and Facebook. Ivan is a passionate mountain climber, and he's got an awesome photo collection of mountain Velebit landscapes. Have you ever visited Zadar? Do you like Ivan's photos of Zadar? Let us know in the comments below. Beautiful images- thanks for sharing! His photos are stunning. My favorite is the Sea Organ. What a gorgeous sunset! I love all of Ivan’s photos that you featured here. Zadar looks absolutely beautiful. I can’t even pick a favorite. Absolutely gorgeous photos and great way to showcase Zadar to everyone else! I have never heard of Zadar before now, but it looks like an extraordinary place! Beautiful photos, thank you for sharing! Excellent photos, i’m heading to his facebook, instagram and pinterest to check his stuff. Wow thanks for sharing those were beautiful! Ivan is a wonderful photographer and his photos make Zadar look so appealing. I like how he captures the sky, and I’m particularly intrigued by the Sea Organ. I think I love black&white photos the most, then I see shots like this. Incredible, just love how these colors POP. Thanks, Eileen! His photos are really bright, and like you said the colors just pop. But he does have a great collection of B&W photos as well. We’ve visited Zadar, and Ivan is right. It doesn’t have the same picturesque resort-type feeling of Dubrovnik or Split – it’s more a real town with locals living, working and going about their daily lives. And yes, these are gorgeous photos! Gorgeous photos with great use of light. Ivan id’s truly talented. Thanks, Brianna! Glad that you like Ivan’s work. I’m off to Zadar for a long weekend in a few weeks, so I’ll definitely be keeping this post in mind. Good to know some things I ought to be looking out for – thanks! Wow, Katie! Glad to here you’ll be visiting Zadar soon. Have fun. Cannot wait to read about your experience there. Stunning photos, I really enjoyed this post. Great that you are helping promote such a talented local photographer, too. Love his shots, especially the sea organ and the last one. I really would love to come and visit you guys one day, we’re just around the corner in Italy! Hi Margherita, where are you in Italy? Let’s get in touch and if you want to come for a weekend, we’ll be happy to have you. We’ve got a rental unit, and as long as it’s not rented out, you can stay there. Let us know if you are interested. 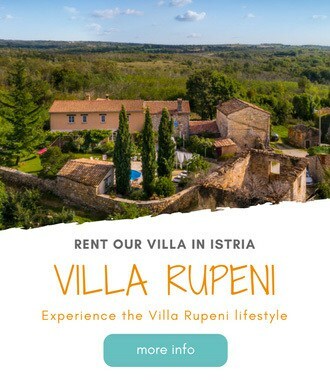 Hope to see you in Istria. Some really nice shots here. Very nice to see you giving local photographers some exposure. Thanks, Lisa! I love that one too. The light makes it look so special. I love night pictures, especially the lighthouse is beautiful! You’re right Ivan’s photos are lovely. Zadar looks like a great mix of old and new. I’m fascinated by the Sea Organ and Greetings to the Sun, both look amazing. Would love to visit one day. These photos are amazing! It looks like a beautiful town anyway, but these take it to the next level. I’ll be checking out his other work – would love to see some of the mountain shots! Oh pretty, a couple of years ago we didn’t have time enough to visit Zadar! Sad really! I am so glad you like his work, I have been using his photos on my blog for sometime and think his work is beyond amazing. We’ve shortlisted some of his photos as possibilities to buy and frame for our new house.